Susanna Cashmere Cardigan is light, luxe and lovely. 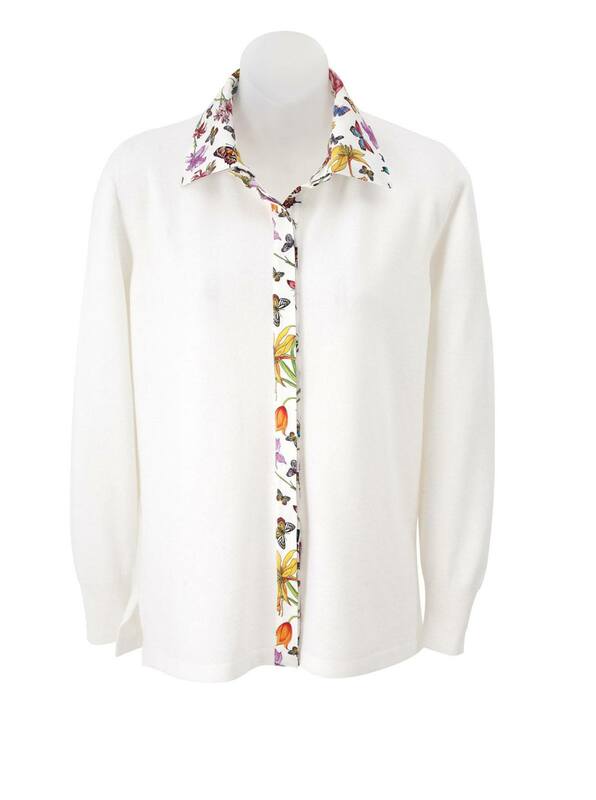 Knitted in Italy of 100% cashmere with silk floral print collar and placket. Collar detaches for another classic look. Ribbed cuffs and waist.